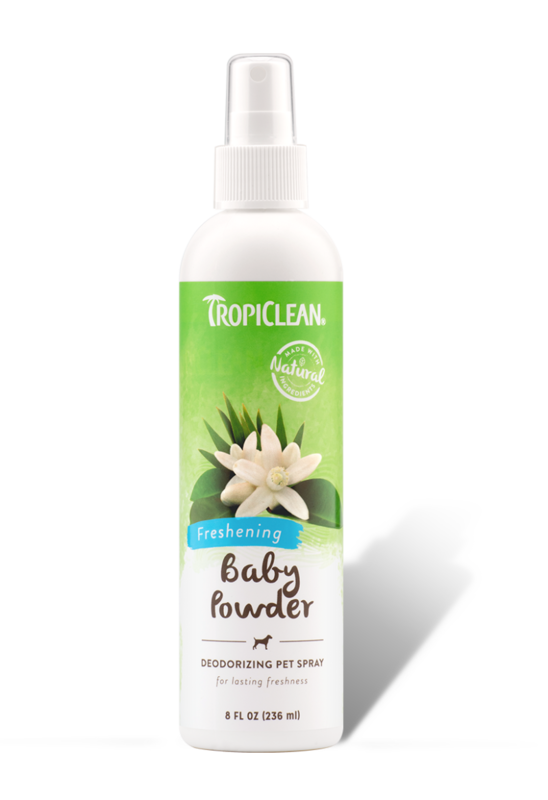 Purified water, organic blend of (mallow extract, chamomile extract, yucca extract, oatmeal extract, aloe extract), odor neutralizer, fragrance, hydrolyzed plant protein, vitamin E.
Smells so niceMy dog loves it! 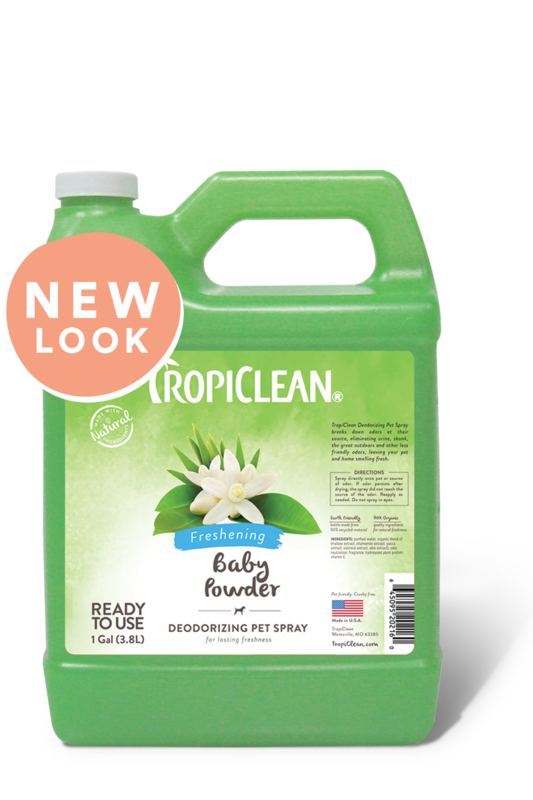 This cologne is the most useful thing we have for our dog because we don’t want to bath him all the time so it helps a lot. We are so glad you have found the baby powder cologne spray to be beneficial. 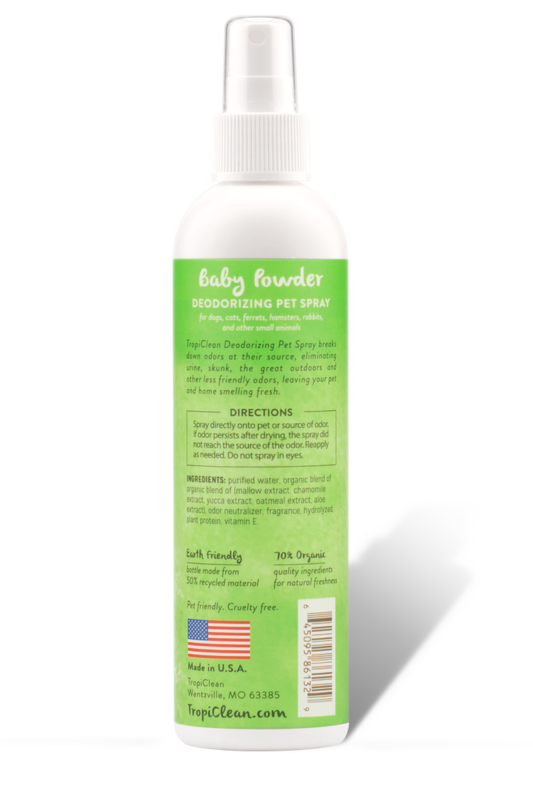 We agree it is a good way to keep your pet smelling great in between baths. Thank you for sharing your experience with us. 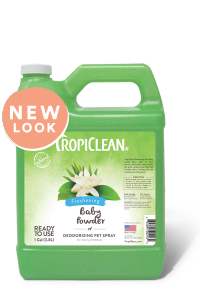 Wonderful, nice and fresh scentThis is a great product. I have Shelties with very long hair on their hind quarters. 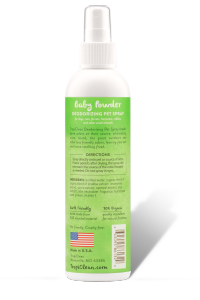 I am always mixing up dog conditioner with water to spray on their hind end and freshen them up and clean them up after going potty. Not any more! I stumbled on this product and it is wonderful, nice and fresh scent. After wasting a lot of money on mixing products - this is the one for me. It works.